We were just asked to provide a “farm-to-table” recipe for a local magazine called VISITvortex and of course we knew that we had to create something with the fresh produce we’re getting in every day from our local favorite Gills Farm in Hurley, New York. I turned around to ask our chefs what they had in mind and Jonathan had just put out our plat du jour today, Fresh Trout with Olive Salad (inspired by Muffuletta Olive Salad Recipe from New Orleans). 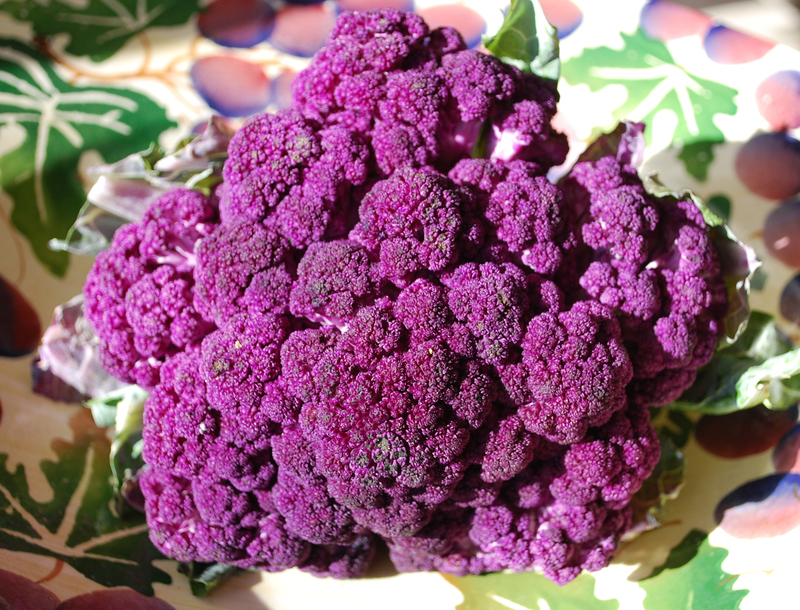 We make our own version of “Gardiniera” with the beautiful tri-color (purple, green, and white) cauliflower from Gills Farm. Cut the cauliflower into similar sized florets and blanch. Then lightly toss with red wine vinegar and cool. Insert this simple version of Gardiniera in the following recipe to create the topping you see for the trout. Finely mince first 11 ingredients and then combine with the red pepper flakes, olive oil, vinegar, salt and pepper. Mix thoroughly, let stand for one hour for flavors to marry. 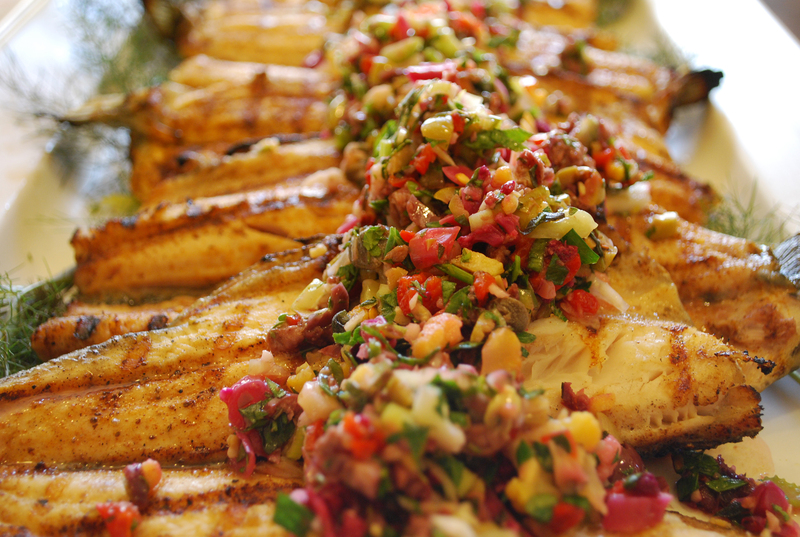 This is a great condiment for grilled fish, steak, chicken or as in New Orleans – on a sandwich – Muffuletta or otherwise!